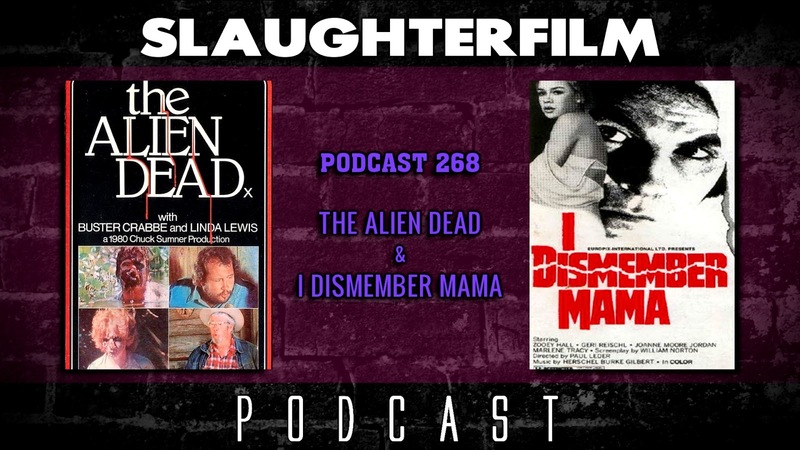 This week Forest scrapes the bottom of the barrel with yet another alien flick. This time around he uses the Slaughter Film time machine to visit a once bustling VHS movie rental, complete with the wretched, made for VHS schlock that is Alien Dead. Cory completes his look at "The Frenzy of Blood" double feature with I Dismember Mama, which comes completely with a rant about "incels". The Horror Duo also chat about watching Dunkirk, A Ghost Story, Dracula's Angel and Dracula: Untold. They also explain why their Jaws Netflix Movie Night, filmed with good friend Jos, lacks seventeen minutes of audio. For more Slaughter Film news and reviews, as well as show notes and special events, make sure to visit our website; SlaughterFilm.com. 35:43 - "I Dismember Mama"